LG/Samsung: http://youtu.be/sZg8hnZK7pg Liz goes 7 innings for LG, giving up only 4 hits, 4 walks, 10 strike outs, 2 earned runs but gets the no decision. Bong Jung-keun gets the win for LG. Yoon Sung-hwan started for Samsung, giving up 6 hits, 4 earned runs in 7.1 innings. Samsung lost it in the 10th inning on some bad fielding with Oh Seung-hwan on the mound. Hanwha/Doosan: http://youtu.be/4Bvwy8NVy-U Nippert goes 6 innings, giving up 7 hits, 3 walks, 10 strike outs, 2 earned runs and gets the win. Kim Hyuk-min gives up 7 runs over 5.2 innings, also gave up 8 hits, 4 walks, and 3 home runs. Min Byung-heon, Oh Jae-il, and Lee Jong-wook hit home runs for Doosan, Choi Jin-haeng for Hanwha. Lotte/SK: http://youtu.be/GMXVXwzYZK4 Youman goes 6.2 innings for Lotte, giving up 7 hits, 3 walks, 3 strike outs, 3 earned runs and gets the no-decision. Kim Sung-bae takes the loss for Lotte. Seddon goes 7 for SK, giving up 5 hits, 5 walks, 8 strike outs, 3 earned runs and also gets the no-decision. Park Hee-soo gets the win for SK as they score 2 in the bottom of the 9th to win the game. Jeon Jun-woo hit a home run for Lotte. NC/Nexen: http://youtu.be/Ou0pIYqqXpQ Son Min-han goes 7 innings, giving up 7 hits, 2 walks, 1 earned run and earns the win for NC. Lee Min-ho the save. Knight goes 5 innings, giving up 6 hits, 3 walks, 4 strike outs, 3 runs, 2 earned runs and takes the loss. Nexen lost it's 8th straight game. 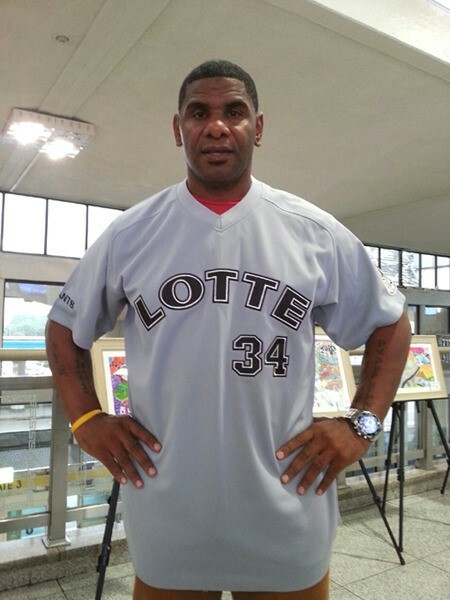 Former Lotte slugger, Felix Jose, has returned to Busan. He was invited to help celebrate 'Champions Day' at Sajik on the 26th.